In Inkscape, how do I form one image into my shape? 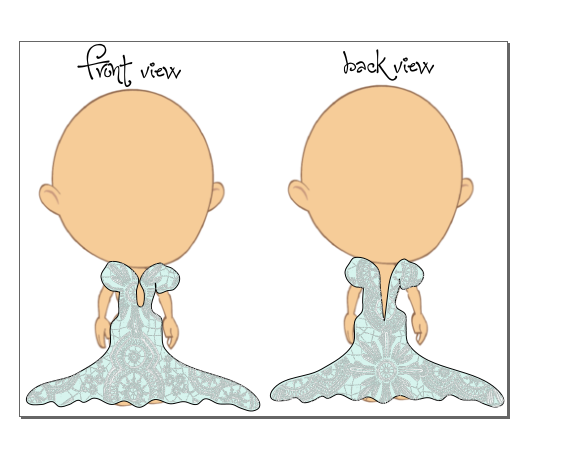 Okay, so I'm trying to design a dress for an online game I play for the first time using Inkscape. 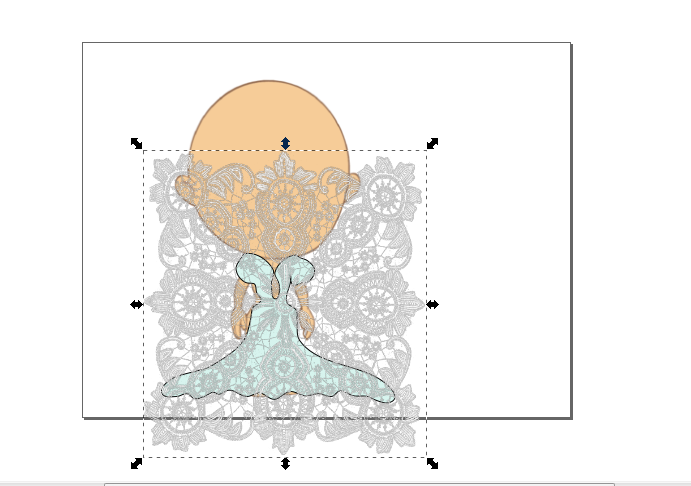 What I'm trying to do is take the lace png, and layer it over top of the dress so it takes the exact shape of the dress and becomes kind of like an overlay, so you can see the blue through the lace, but it looks like just one solid dress. I hope I am explaining this correctly. Can someone help me? EDIT: I found a way to select both using shift, and then click "create a mask" or something, and the lace takes the shape of the dress. however, the blue doesn't remain underneath of the dress, it's just a transparent lace over top of the avatar. EDIT: I figured out how to do it! I thought I may as well share my solution instead of deleting the thread in case someone runs into the same problem and can't find an answer. What I did was duplicate the dress, move it to the side, put the lace over the dress, create a mask, and then drag the laced dress over top of the solid blue one. Bam. Blue lace dress. Browse other questions tagged inkscape overlay or ask your own question. Image's texture might be stretched? How to subtract a shape from other shape on Inkscape?